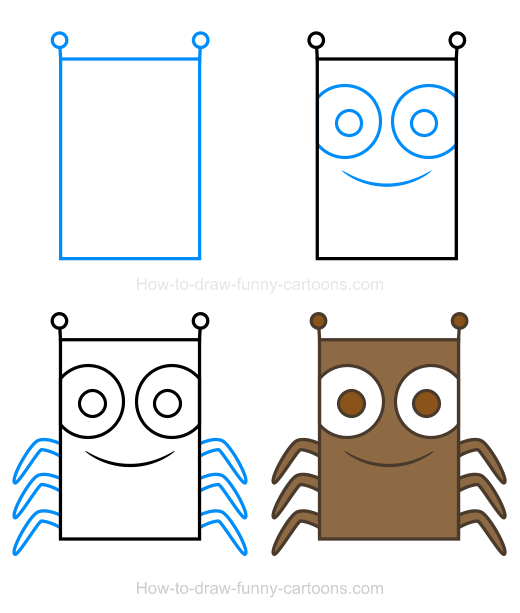 Draw a simple insect clipart featuring a beautiful ant made from various shapes, lines and a single color. This is one of the easiest cartoon character to create from this series. 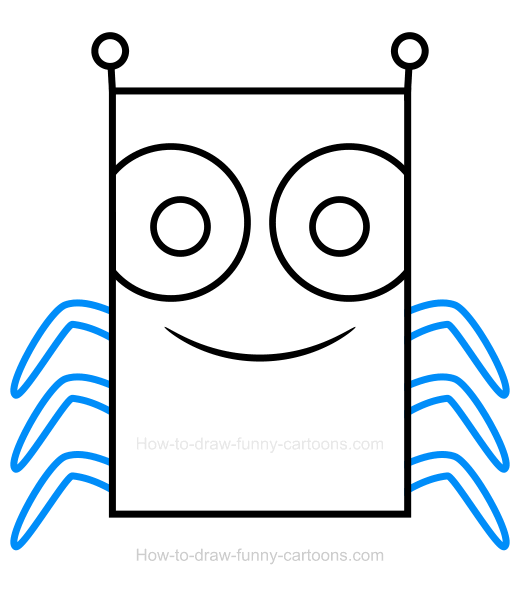 Of course, you can adapt this drawing lesson and create your own cartoon ant using different lines and shapes once you are comfortable creating this character. Ants are wonderful creatures. They have been around for at least 100 million years ago and more than 20 000 species can be found on earth. These little insects are living in groups and are able to solve complex problems, something other insects cannot do. They can cooperate to accomplish several tasks a single individual could not do. 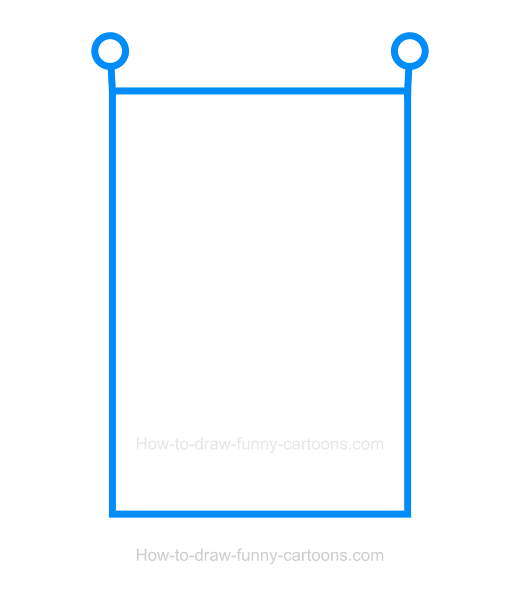 First, sketch a large rectangle made from a thick outline to illustrate the body of the cartoon ant. Then, add two small lines on top to create the bottom of the antennas. Finally, add small circles on these lines to complete this first step. You can see the result so far in the illustration below. Great! 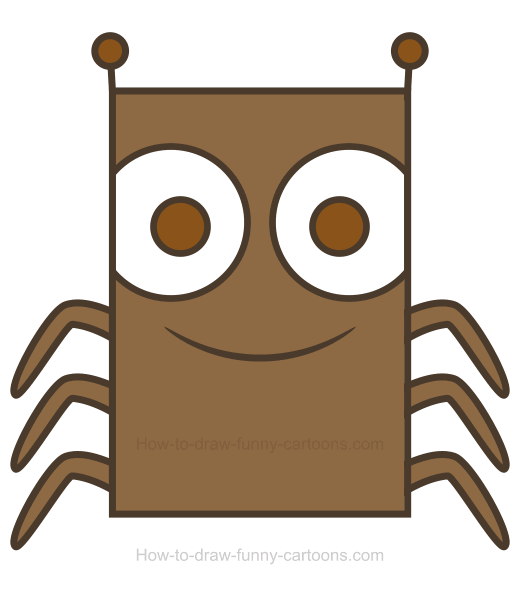 Continue working on this insect clipart by adding large circular shapes to form the eyes. Pupils are also done from small circles. 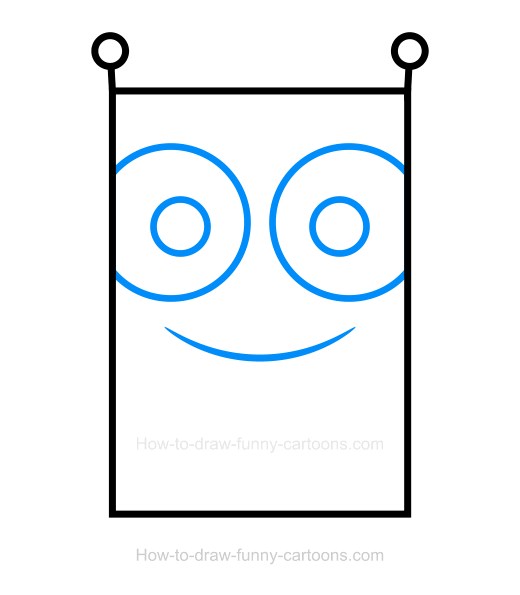 You can complete this second step by drawing a long curved line below the eyes to represent the mouth of the cartoon character. Of course, an ant is mostly colored in brown. The body and the legs are filled in with a light brown color while the pupils and the antennas are slightly more bright. The eyes are white and the outlines are colored with a dark brown color. Nice work!